On September 27, 2018, U.S. Customs and Border Protection (CBP) awarded a $28.8 Million Indefinite Delivery Indefinite Quantity (IDIQ) contract to Heuresis Corporation for its HBI-120 handheld x-ray imaging device. Currently, CBP has issued two delivery orders under the IDIQ for Heuresis’ HBI-120 devices, totaling a little under $6 million. “We are honored that CBP has selected Heuresis to support its security mission,” said Heuresis President and CEO, Jim Ryan, according to a recent press release. CBP intends on using these devices as part of its non-intrusive inspection (NII) program, which is responsible for inspecting cargo, vehicles, packages, parcels, rail cars, trucks, and containers without physically opening them to examine their contents. The program is an essential part of efficiently facilitating trade while protecting the U.S. from harmful materials and other contraband. The HBI-120 is a backscatter imaging device, meaning that it produces an image from the energy that is returned, or scattered, by x-rays interacting with objects. For the technology to work, x-rays emitted from the device need to be absorbed by an object, interact with its atoms and ionize, and then return scattered ions and low energy photons. 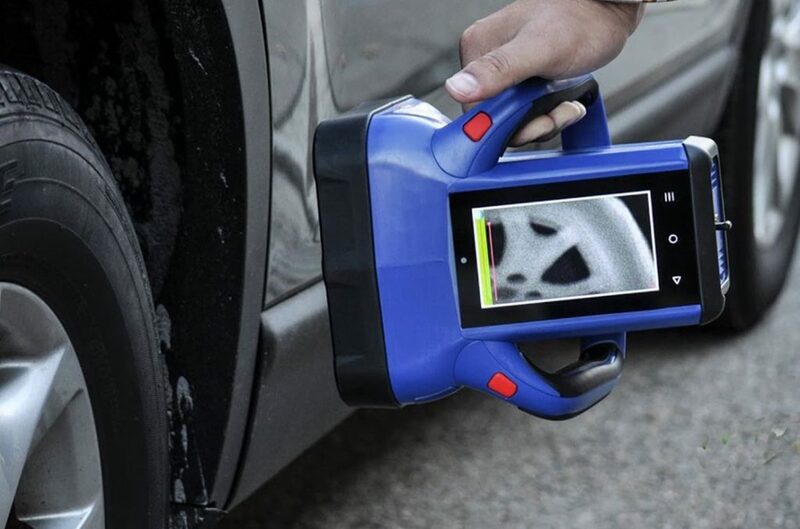 Because the energy that is returned is dependent on the object’s material composition, backscatter imagers can differentiate inorganic from organic materials. Unlike traditional x-rays scans that rely on energy passing through an object to determine its contents, backscatter images require less powerful x-rays which are absorbed more efficiently by the objects being scanned. The resulting image has photo-like qualities, depicting the contours and material composition of the object. Backscatter technology assists CBP Officers in identifying and detecting drugs, weapons, explosives and other contraband hidden inside containers, parcels, packages, cargo, and all modes of transportation. ​Because backscatter imaging devices utilize less powerful x-rays, the devices utilizing this technology can be made to be handheld, allowing for more agile operations and the inspection of hard to reach areas. CBP Officers (CBPOs) can more easily scan small packages, small containers, and the small corners of vehicles, containers, cargo, parcels, rail cars, and other conveyances entering the country.